The TU854 MTU can have up to 8 I/O channels and 2+2 process voltage connections. 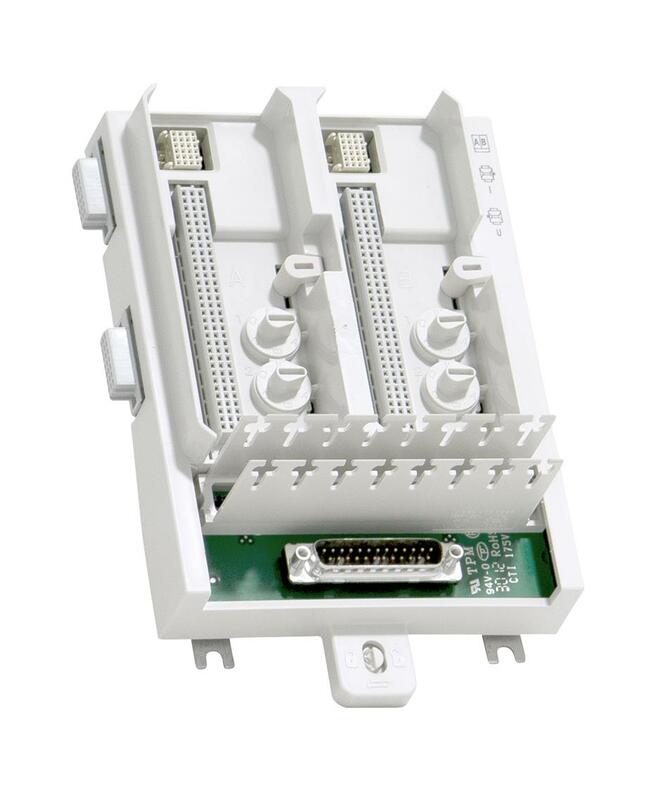 Each channel has two I/O connections and one ZP connection. Input signals are connected via individual shunt sticks, TY801. The shunt stick is used to choose between voltage and current input. The maximum rated voltage is 50 V and maximum rated current is 2 A per channel. The MTU distributes the two ModuleBuses, one to each I/O module and to the next MTU. It also generates the correct address to the I/O modules by shifting the outgoing position signals to the next MTU.